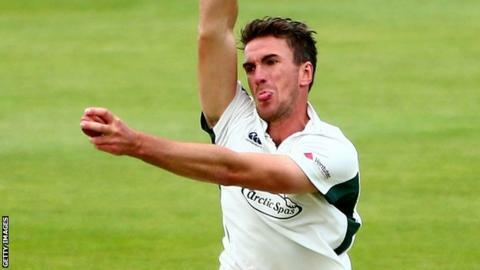 Worcestershire left-armer Jack Shantry has signed a contract extension with the relegated county until 2018. The 27-year-old still had two years left on his existing deal but he has now committed himself to New Road for another season. He is the ninth player in five months to sign a new deal with Worcestershire, who will be back playing in County Championship Division Two in 2016. "It was very pleasing to see the other contract extensions," said Shantry. "It shows the level of morale at the club, even though we had a difficult year in Championship cricket. We've got a group of players here that are only going to improve." Shantry, Ed Barnard, Joe Clarke, Brett D'Oliveira, Tom Fell, Joe Leach and Charlie Morris have all signed for three years, England Lions man Ross Whiteley has signed for four years and Tom Kohler-Cadmore has agreed a two-year deal.